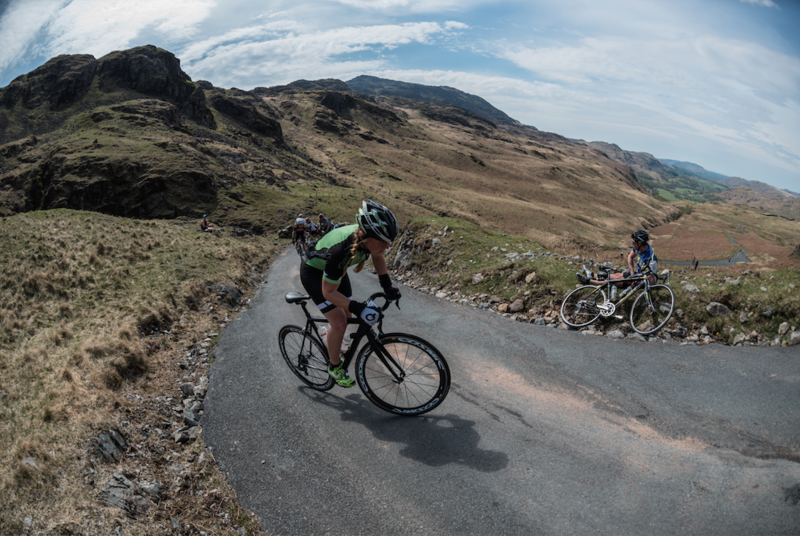 The Fred Whitton Challenge is a hill climber’s dream / nightmare. The route consists of 112 of the steepest, hilliest miles found anywhere in the UK with the infamous Harknott pass (30% incline!) at mile 100. Despite these disconcerting statistics I’d always wanted to ride the Fred and this year I managed to keep fatigue and nausea at bay just long enough to finish in a time of 6 hours and 43 minutes. I subsequently spent quite a long time lying on the ground moaning. 2000 people set off between 6 and 8am on Sunday morning to begin their own personal challenge. It was a beautiful day in the Lake District. 24 degrees of soft sunshine which turned the rolling hills to green velvet and made the lakes look effervescent. The weather made things special but what made this event really stand out for me was the people. This is a hard event. Possibly the hardest I’ve ever done and yet the understated, self effacing, gnarly veterans and all the organisers were friendly and helpful and genuinely grateful you were there taking part. In the 24 hours I was in Grassmere I was adopted by a local cycling club, given excellent free coffee, a much needed free crepe, endless friendly advice and invitations to dinner. A ride was always going to go well under these conditions. Thank you to the lovely guys I rode with from Kendal Cycling Club and to Rory for putting me in touch with them. An enormous thank you to the ride organisers, crepe, cake and coffee providers and massage therapists which made my reemergence to the physical world possible having put myself into a bit of a hole in the last 10 miles of the ride. And thanks to Fred Whitton. It seems the spirit of this generous, popular, humble local lad who died tragically young from cancer lives on in this event. Lee, thanks for the mention. We’ve posted it on Kendal Cycle Club’s Twitter and Facebook page. Good luck with the North Coast 500.